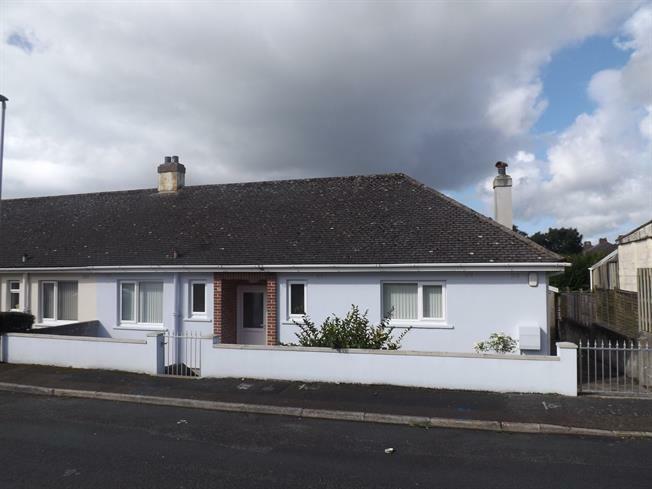 3 Bedroom Semi Detached Bungalow For Sale in Plymouth for Asking Price £220,000. Wood flooring, doors to shower room, cloakroom, bedrooms and kitchen breakfast room. Windows to two aspects, breakfast bar, space for fridge freezer, washing machine, stainless steel sink and drainer set in roll edge work surface, multi paned doors opening into the lounge. Low level W/C with obscure glazed window to the front aspect. Built in wardrobes, window to the rear aspect over looking the garden and radiator. Window to the rear aspect, wood flooring and built in cupboard. White suite comprising of a low level W/C, pedestal wash hand basin, corner shower with electric shower, heated towel rail and obscure window to the front aspect.